This 4 day Golden Ring tour is the best way to explore thoroughly old Russian towns and countryside life. 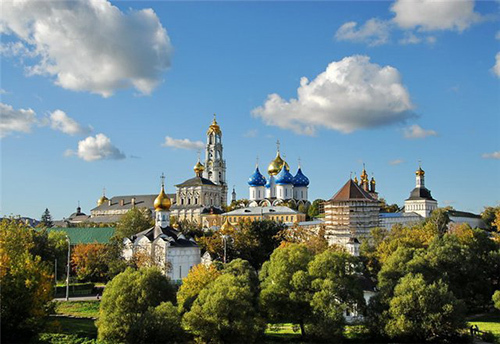 This tour is designed for those who would like to breath in local culture as well as enjoy majestic scenery of Suzdal and Bogolyubovo, study century old architecture of Rostov and Kostroma, see big provincial centers of Yaroslavl and Vladimir, visit the pilgrimage sight of all Russians- Sergiev Posad. If you have fewer days in Russia, you might consider to have 3 Days /2 nights tour. At 8 am our guide picks you up from the hotel to leave for Sergiev Posad. It will take you approximately 2 hours to get there where you visit the famous pilgrimage sight, the Holy-Trinity St. Sergius Monastery, quite often referred as Russian Vatican. The Trinity Monastery of St. Sergius was founded in the early 14th century by one of the most venerated saints of Russia St. Sergius. For centuries, Russian czars and common people set out on pilgrimage to the monastery. It remains one of the most sacred places in Russia today. Transfer to Yaroslavl to check in the hotel. Sightseeing tour of Yaroslavl. As the city lies on a high, steep bank of the Volga river, it offers myriads of photo opportunities of the mighty Volga river. 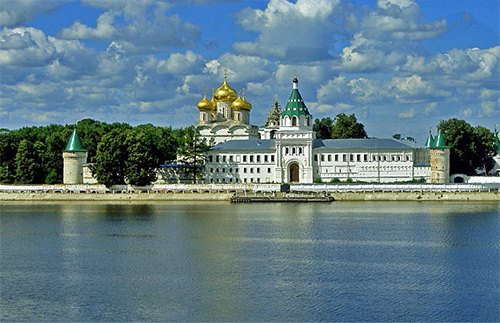 During the tour, you will visit Saviour Transfiguration Monastery and Church of Elijah the Prophet (in the summer), walk along the Volga embankment, drive by the oldest Volkov theatre in Russia and stop by the church depicted on 1000 Ruble banknote. After lunch you'll drive to visit a local village and discover a unique museum of Russian dolls. 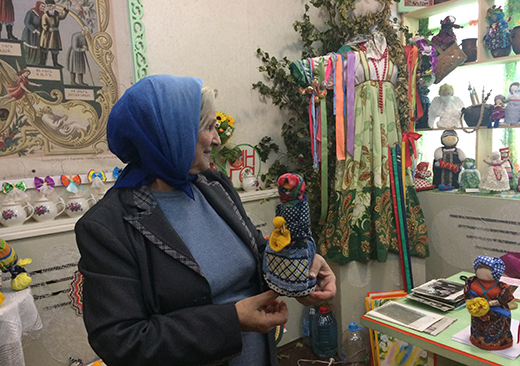 You'll see its rare collection of dolls, learn about the life in a village, get involved in a doll making master class and have a Russia tea accompanied with pirozhki (Russian pastries). 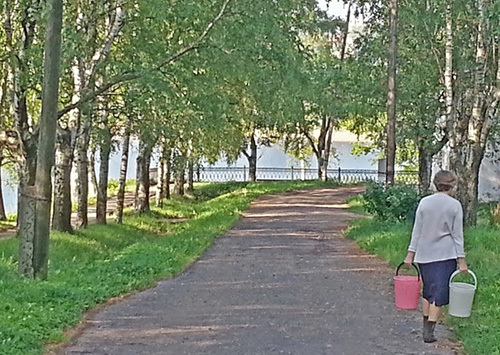 City tour of Kostroma. The town is located at the confluence of the Volga and Kostroma Rivers. During the tour you will walk through the central part of Kostroma to admire 18th century architecture of provincial town. The tour of the Ipatiev Monastery , once the shelter of Mikhail Romanov, the first tsar of the Romanov Dynasty. He was offered the Russian throne in 1613 thus ending the Time of Troubles and Polish Intervention in Russian. You will also see the Trinity Cathedral, known for its frescoes. Sightseeing tour of Suzdal which was once the capital of Rostov-Suzdal principality. This town is like a museum under the open sky, its medieval monuments can tell you its old story. During the tour, you will visit the Museum of Wooden Architecture, St Euthimius monastery (or Intercession Convent), Suzdal Kremlin. Free time to enjoy quite life of the town where there are no train stations or industries. Gazing at its blue river, wooden houses, picturesque meadows you may feel that time has stopped here. Not far from Kostroma you may visit the Elk farm. The tour will give you a chance to learn many interesting facts about the moose, The guide will give you carrots to feed the moose and you may also go inside one enclosure where you can touch, hug, and take photos with the animals. Driving to Bogolyubovo famous for the ancient Pokrova-na-Nerli Church of the 12th century located on the Nerl river among picturesque meadows. It is a 15 minute walk the church and 15 minute walk back but it is absolutely worth doing on a good day. 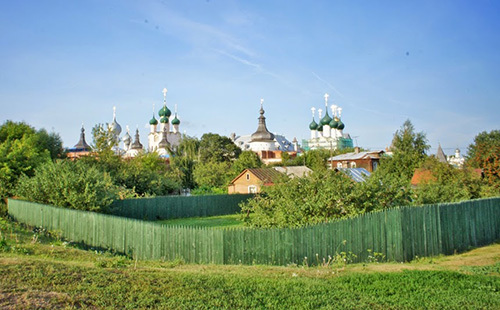 Driving to Vladimir to see the Assumption cathedral (famous for Andrey Rublev frescoes), St Demetrius cathedral (outside only), Golden gates and learn the old history of Vladimir, once the capital of Russia. At about 4 pm we set back to Moscow which takes about 4 hours. Tours can be customized to your preferences. Additional sights and workshops might be included on your request.